The Trimble LOADRITE X2350 is an onboard scale for materials handlers, designed to improve loading productivity. 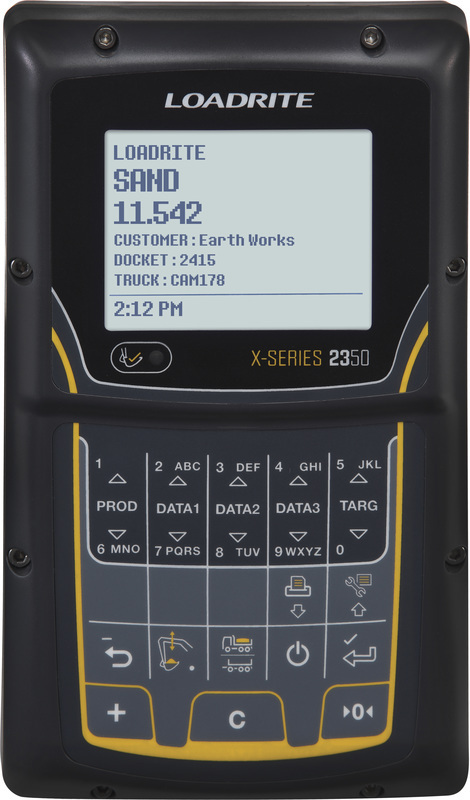 The X2350 quickly, easily and accurately weighs the material in the bucket and displays the payload information on an easy-to-read monitor in your excavator’s cab. The system weighs dynamically so the loading process is not interrupted during weighing. The X-2350 allows operators to optimise payload without interrupting the loading process and helps managers track productivity and material movement and stock availability. ​Coupled with Trimble InsightHQ reporting, manages now have remote, real time information available to help better manage their businesses. Demonstrating the ease of operation and repeatable accuracy of the X-2350 on a Liebherr materials handler equipped with Log Grab at a very windy Balcas site near Invergordon. Balcas utilise Trimble InsightHQ to track material movement and productivity across their site, with additional Trimble Wheel Loader Scales installed on the wheel loaders, to provide a complete picture of site productivity. The 3D version of the X-Series compensates for sloping ground in two planes and slewing speed. This is suitable for all hanging attachment applications; clam-shell, orange-peel grabs, scrap magnets, log handlers, finger and thumb grabs. (Selector grabs also with some operational limitations).